Event promoters agree to allow the KBAR winners from the previous year to race for free (a minimum discount equivalent to a single race registration fee will be given in cases where there could be multiple races per day). Within the KBAR rules, there is no discussion of how to apply this award in two instances that can/have occurred. 1) Where the KBAR winner has upgraded racing category since winning KBAR the previous year. 2) Where the KBAR winner was racing in a Junior Age category; which is financially subsidized by KEEN wealth. It is important to note that the rule recognizes that a race registration fee has a ‘value’, and that the award is only applicable to a single race registration fee per day. It is clear that the intent of the award is for racers to receive an award that has a value that is roughly equivalent to the value of the race event for which they won the award. In the case of a rider category change, this is quite simple. The award is not going to penalize a rider for performing well enough to upgrade their racing category. Therefore, the Free Race award will be applicable to the upgraded racing category. For example: Mary wins KBAR for Category 4 in the previous year. She earns enough points, and upgrades to a Category 3 road racer. Her free race entry prize will apply to her Category 3 road races in the following year. If she also ages up into a Master’s Category, her Free Race award may be applied towards a Master’s Category race entry. She still ONLY receives ONE Free Race entry award per day. If she races in two races in the same day, she only gets one of them for free. Additionally, some race directors offer a discounted rate for racing a second race in the same day. As race entry fees exist in a free market, Race Directors are certainly NOT required to offer the second race at the discounted ‘second race’ entry fee if the racer’s first race was a free KBAR or KBCXR award. The Junior Age category is a little different. 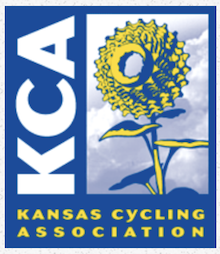 Junior race entries are subsidized through Keen Financial Advisors and the KCA. This subsidy keeps Junior race entries fees at $10.00 or less to the racer. Very often, Juniors race at no cost to the racer for the junior age category races. Junior who choose to race in regular category races, are NOT subsidized and are typically full price to the racer. Since Junior age category races are subsidized, the KBAR awarded ‘free race’ for winning a Junior Age Category only applies to a subsidized Junior age category race in the following race season. For example: Tom wins KBAR for Junior 15-18 in the previous year. He is also an up-and-coming Category 4 road racer. Often he will compete in both the Junior AND the Men’s Category 4 races when he can. He turns 17 the next year, so he still qualifies for the junior racing category. Since he won his KBAR category in the Junior’s age category, which was subsidized, his Free Race award will be applicable to his Junior Age category races in the following year. He will not be able to use his free race to race in the Category 4 races. Had he won KBAR for Category 4, then his Free Race award would apply towards his Category 4 (or 3 if he upgrades) races. We believe this ruling to align with the spirit of sportsmanship, the KBAR rules, the intent of the Keen Financial Advisors grant for Junior racers, and also be fair to the Race Directors without whom we would not have races to compete in.